Kidney trader Juanlerio Avila, 38, shows the copy of a tissue typing from from one his clients who is waiting for the call to donate his kidney. Avila, 38 has introduced 70 men to his conatct in recent years and recieved about 10,000 pesos (113 pounds) each time. 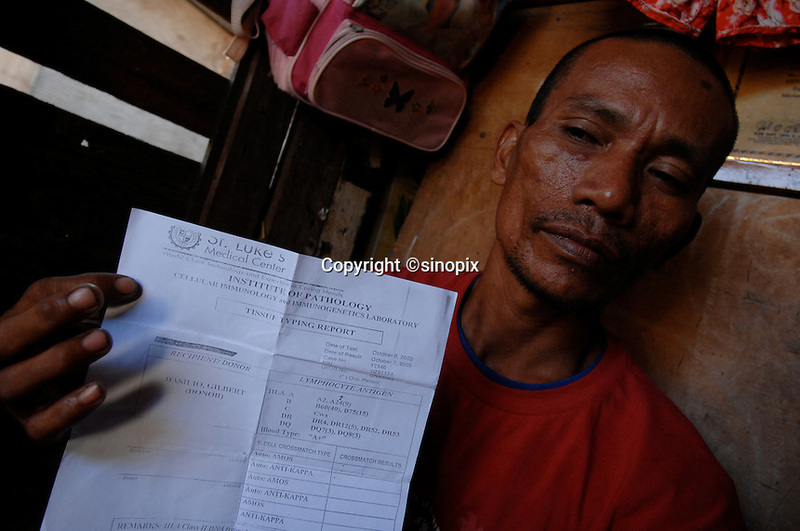 Men from the Basico port area slum of Manilasell their kidney's for between 70,000 - 90,000 pesos (800 - 1030 pounds). More than 300 have sold their kidneys in this slum of 16,000 people.